I am getting excited for some up and coming things here on IHOD. You won't want to miss next weeks surprises!! awww these are super adorable!! you know i LOVE bows!! Where was this adorable idea before my wedding?! Love these!! Ps. How'd the storm go last night? heading over to see how make that cute bow! have a great day dear, kaylee said hit to veronica! aw these are too sweet! i love the polka dots. xoxo jillian:: enter to win a leigh viner print! Thanks for sharing, glad you liked it! Can't wait to find out what the surprises are for next week! so cute, they would also look super cute on a cupcake! I love these!! Thanks for sharing. It makes me want to host a party. So so cute! 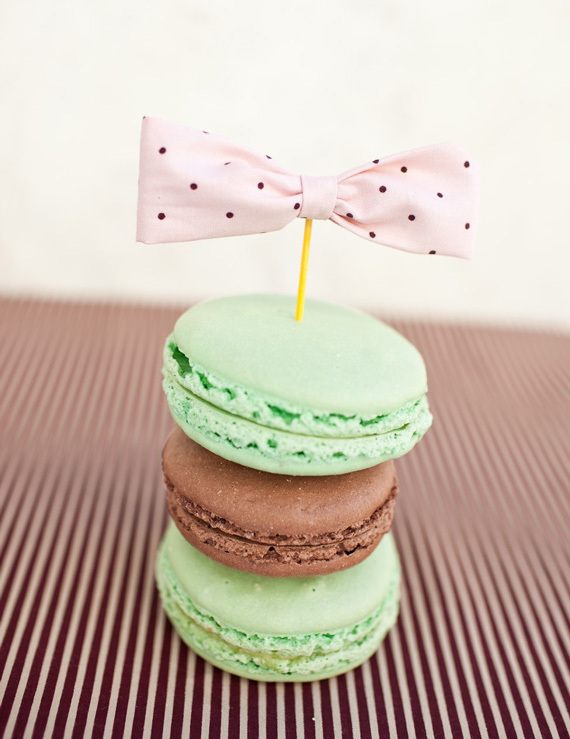 And I want the macaroons so bad! 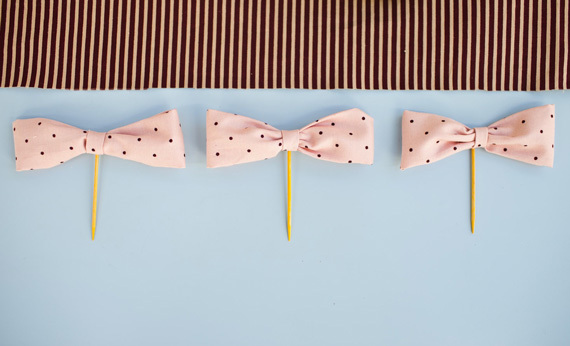 So cute and so French.. Tres chic. What an adorable idea! Love this! So simple and unexpected.